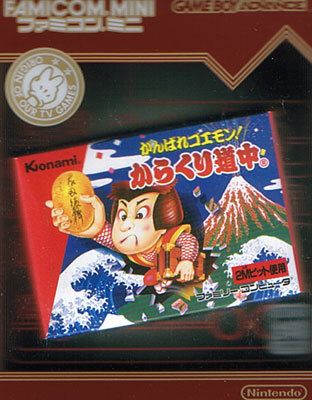 Famicom Mini Series which capture the beautiful packaging and the unforgiving gameplay of the source material from the Nintendo Famicom Disk Drive - never released outside Japan. Highly collectable. Goemon is known as Mystical Ninja in the Occident and is a Genki legend. 'Ganbare' means to do your best: enjoying the company of the townsfolk, but not forgetting to fight the odd 'oni' every now and then. Second hand. 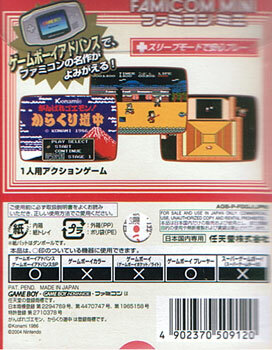 Sun fade to the Famicom style mini box and side/top of inner card box holder.